UPDATE: While accepting his nomination on Tuesday, July 19, the Republican candidate thanked his supporters during a brief speech. “We’re going to win,” Trump said. “Together, most importantly, we are going to make America great again … and we will win in November." It happened. 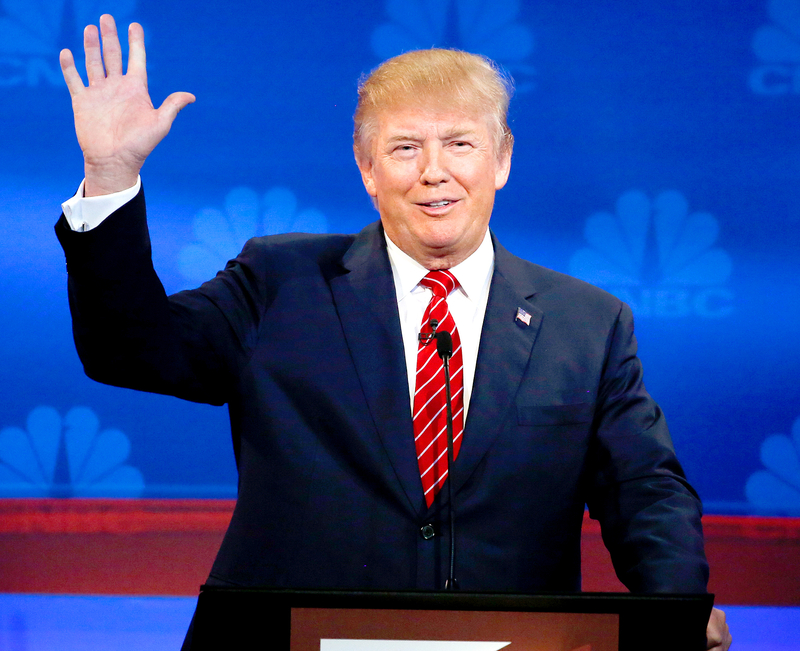 Donald Trump has officially been nominated as the Republican presidential candidate. The controversial businessman earned the required 1,237 delegates to win the nomination during the Republican National Convention in Cleveland on Tuesday, July 19. Despite being the GOP front-runner throughout the campaign, the former Apprentice host, 70, has made headlines for his controversial remarks. After dubbing Mexican immigrants “rapists” during his speech to announce his candidacy in June 2015, Trump was fired from the NBC competition show, as well as from his duties with the Miss USA pageant. "Due to the recent derogatory statements by Donald Trump regarding immigrants, NBCUniversal is ending its business relationship with Mr. Trump," NBC said in a statement at the time. "At NBC, respect and dignity for all people are cornerstones of our values." The presidential candidate has also repeatedly blamed the recent terrorist attacks on current president Barack Obama. While discussing the attack in Nice, France, and the coup in Turkey, Trump blamed Democratic opponent Hillary Clinton. He also recently blamed America’s first black president for racial tension. His wife, Melania, also faced backlash after she appeared to have plagiarized Michelle Obama’s speech from the 2008 Democratic convention during her speech at the Republican convention on Monday night. Trump’s aide Paul Manafort denied during an interview with CNN on Tuesday that the former model had done anything wrong, stating that her speech just contained “common words and values.” The presidential candidate’s team also blamed presumptive Democratic nominee Clinton for the controversy, refusing to acknowledge the billionaire nominee’s speechwriter or anyone on his campaign team.